"Report of the Governor of New Mexico, 1883"
Annual Message to Congress with Documents; Pres. Arthur. 4 Dec. HED 1, 48-1 , v1-13 , 9914p. [2181-2193] Indian hostilities on the Mexican border; lands for public use near the Blackfoot and Flathead reservations in Montana ; annual report of the Sec. of War (Serials 2182-2187); annual report of the Sec. 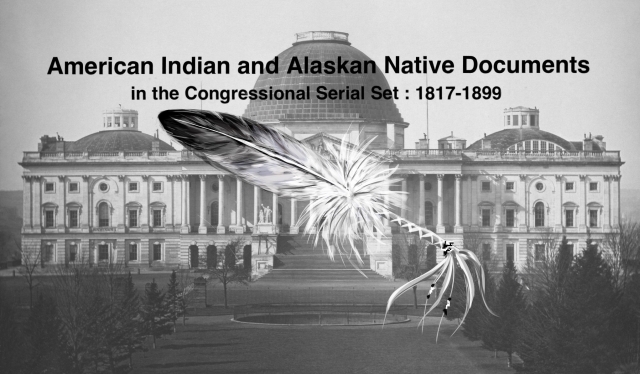 of Interior (Serials 2190-2192); annual report of the Gen. Land Office CIA (Serial 2191), including appropriations, Indian agents, laws for the government of Indians, allotment of lands in severalty, railroads, intrusions on Indian lands, etc.